Phoenix Command was a combat system for miniatures and roleplaying games (and whatever else you wanted) that was published in the 1980s. This wasn't just any combat system. Designed by NASA rocket scientists (I'm not even joking there), the system aimed for realism through an incredibly detailed rules set. Combat was segmented into two second impulses and half-second phases so everything - and I mean everything had to be accounted for (even flicking your weapon from safety to auto needed to be done). Weapon damage and penetration was based on detailed ballistics tests. Damage to the human body was based on computer simulations. The first time I played the game, it really took me almost an hour to go carefully through the tables and figure out the modifiers and then apply damage. That was for a single shot! Casus Belli is an old French wargaming magazine that was a pleasant mixture of articles and scenarios on many different games. 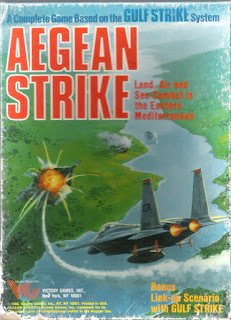 In 1988, they published a scenario based on the idea of a war between France and Libya. It was called "Operation Minotaur". I like this scenario because it fills a gap in the scenarios from the original Sixth Fleet core rules. 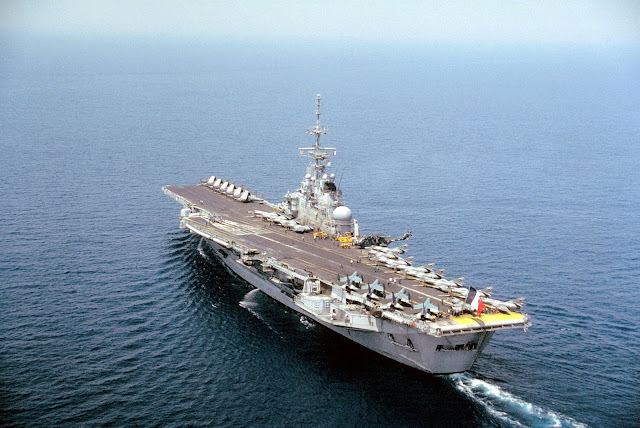 With so many different nationalities included in the game's counter mix, it was practically begging for a scenario that didn't feature the US Navy. Although I love Sixth Fleet dearly, it was so totally focused on Cold War matchups that it felt like it was missing out on potential scenarios that featured local conflicts between powers in the region. This scenario helps to tilt back the balance a bit.